Spent almost 20 days to finish these bookmarks for our two grandsons. They are not as perfect and good looking as I thought, But I did it! Just as not perfect and pretty as I am. You may wonder how did I work on them with only one hand? Of course, I could not do with this Scotch tape stand and the cramp. 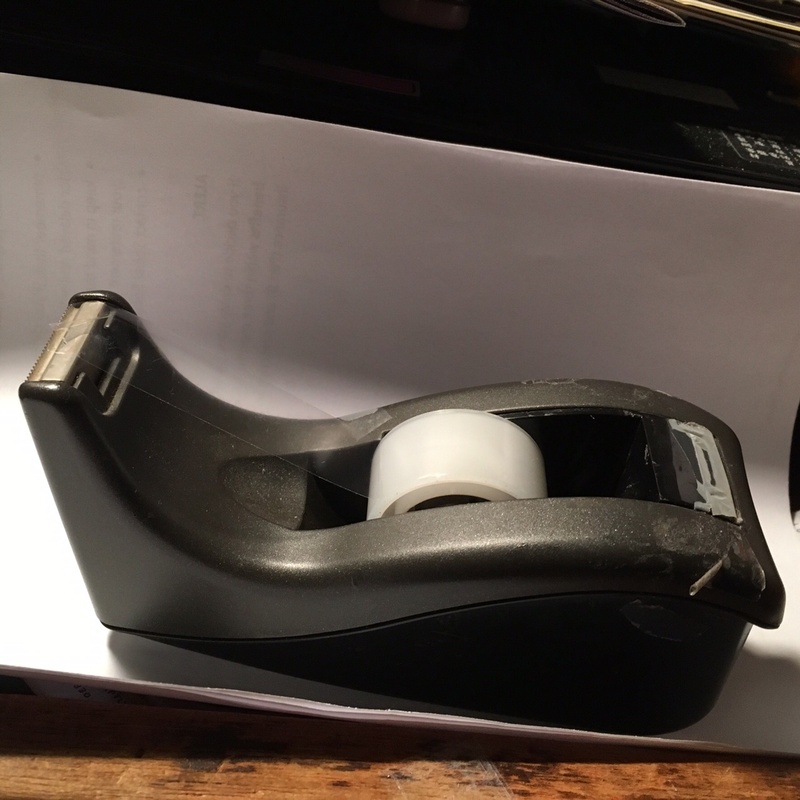 I’m sure the people who first made the Scotch tape stand and the cramp would never imagine what a great pleasure those things could give an old handicap lady! Thanks to them with big kisses and hugs! Ever since I picked up tatting again, my heart is filled with zeal for tatting. 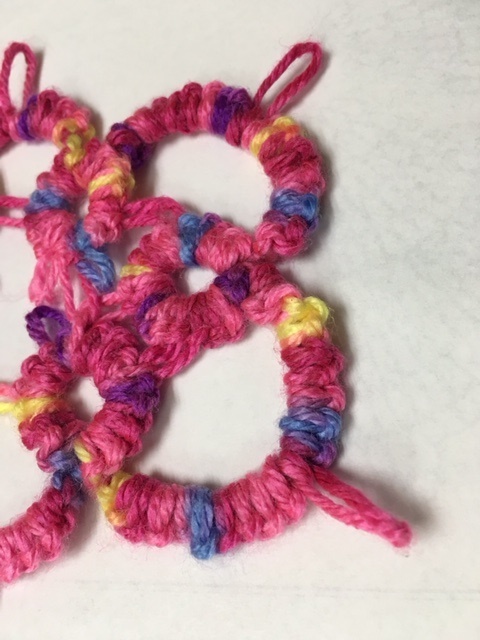 I promised our two grandsons that I’ll make a bookmark for each of them. But it won’t be done very soon! Because I have to design it first! To tat with thicker yarn is always so much easier for me. 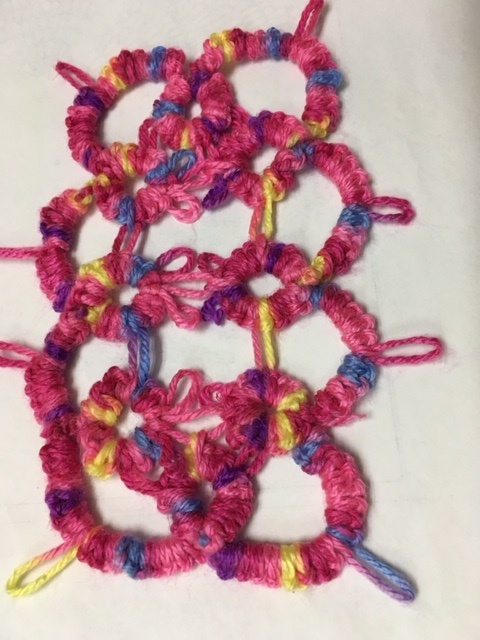 Besides, I don’t want to waste my beautiful thread while experimenting a design! What do you think of this plate mat!? Of course, I’ll prolong the design. It will be much thinner and smaller. In my imagination, the bookmark should be pretty and look good! Besides, no one would like to put a plate mat in the book! OK! I’ll start to work on that bookmark. 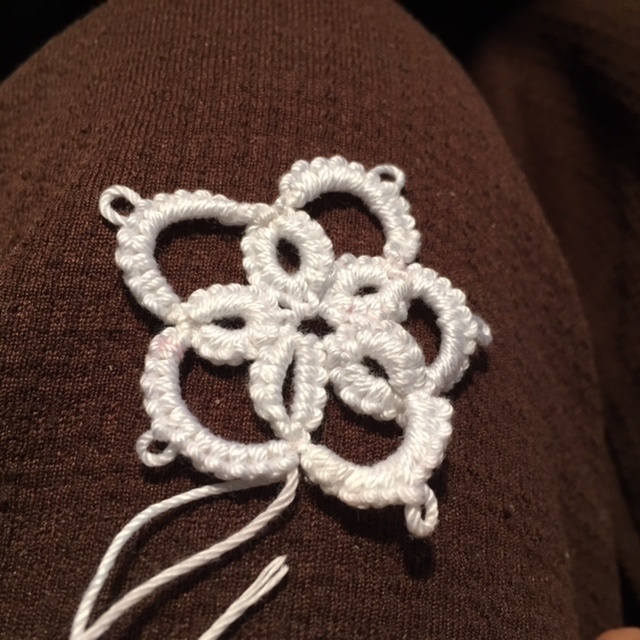 When my very first tatting flower was almost finished, my caregiver asked me; “What is that for?” Suddenly I could not answer her question. She was right! What was it for? 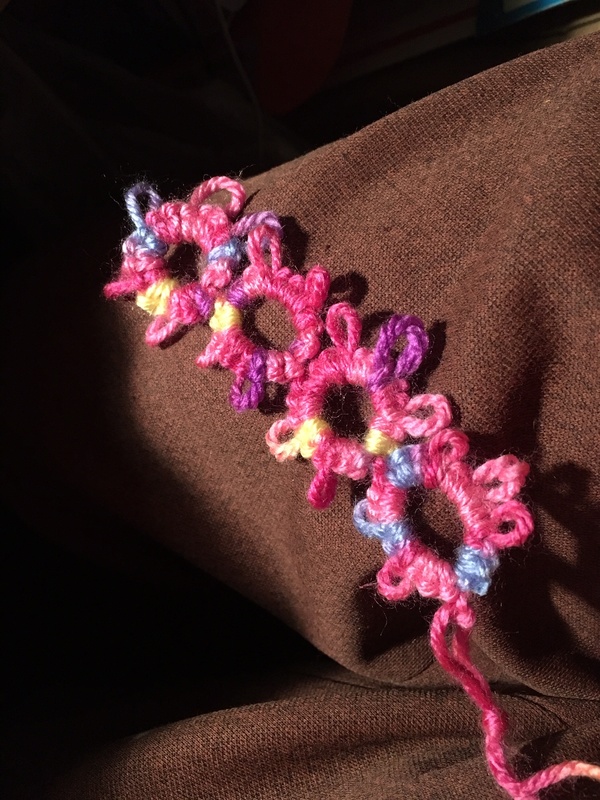 What could such a little tiny crochet thread flower for? But I was drawn in my own happiness! After all these years, I was a little disappointed with myself because with one hand I could not tatting anymore. Here I am with a thread tatted flower in my hand! What am I going to do with it? I asked myself. It took only a few minutes to finish this little flower. Now it took me three hours working with so many tools. 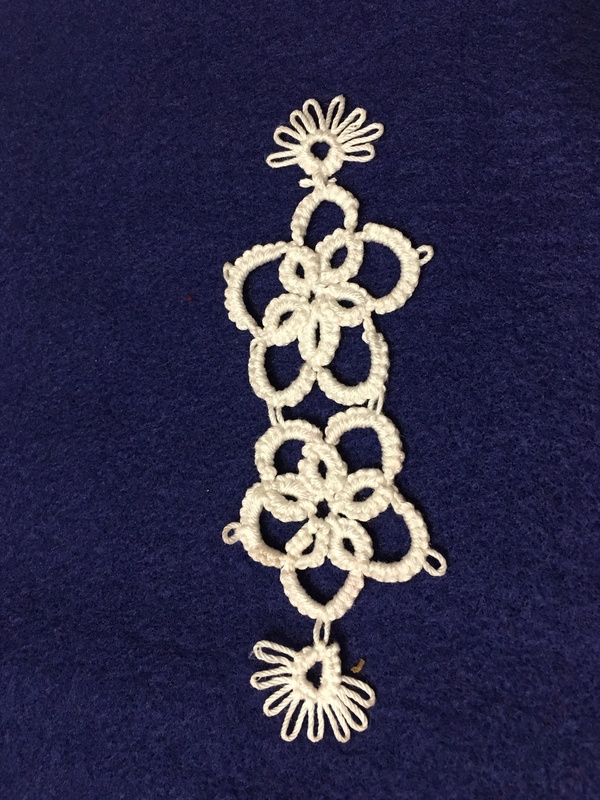 I used tatting anywhere I went, now I must work at home! To lace my clothes? No! I won’t do that. I can’t make even my own clothes anymore! Noteword’s bookmark flashed through my mind. I knew it won’t be so easy. 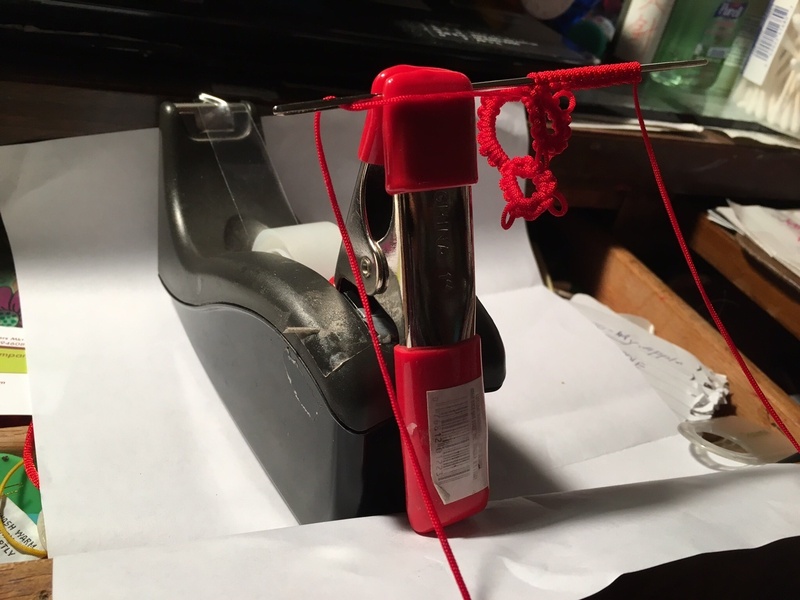 The thread may be tangled! But it is worth to try! I knew I won’t tat one as beautiful and fancy as her piece! But whatever I tat, it will be my masterpiece! 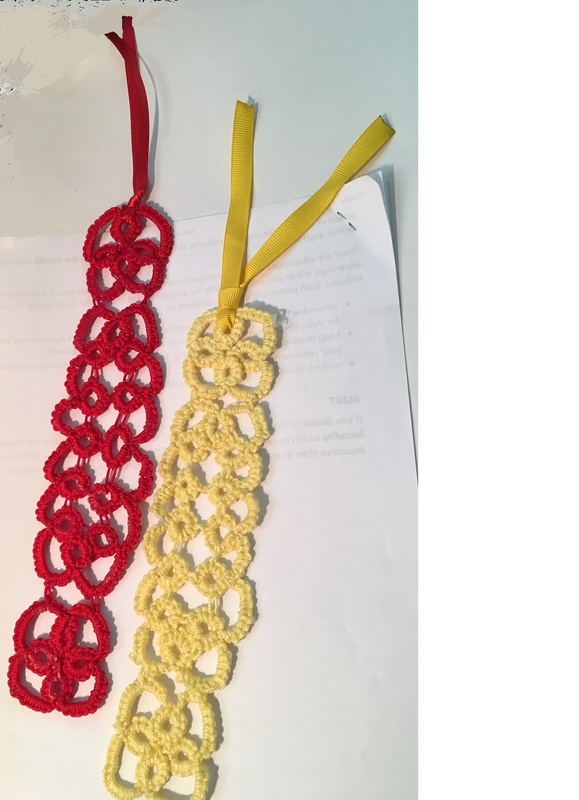 Here is my half way finished bookmark!